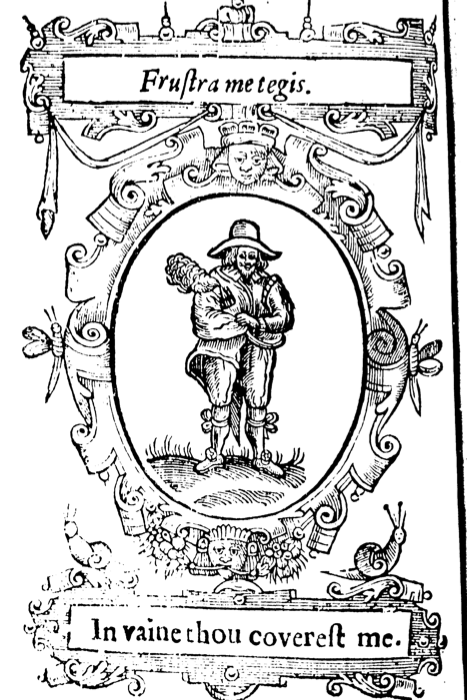 or Lights Moral Emblems, a set of improving poems by Robert Farlie, published in 1638. 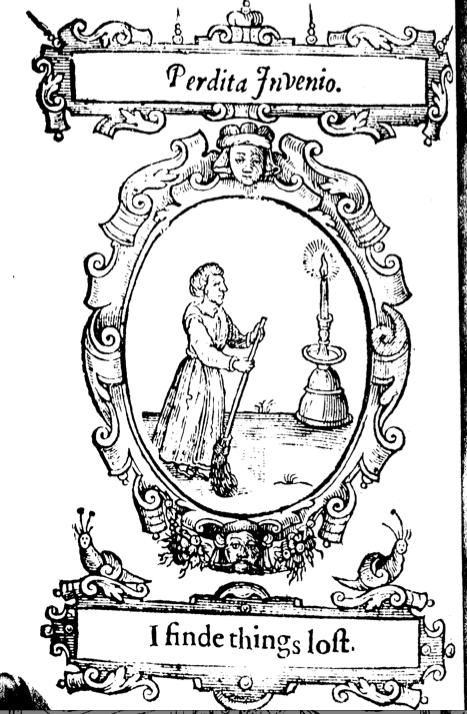 Each page of the book is embellished with a plate. Most are candles or lamps reflecting the title of the work, but a few have a figure in the picture too. Here are the best ones. They look in the most part like ordinary people. I Weary, Give My Light to Thee. 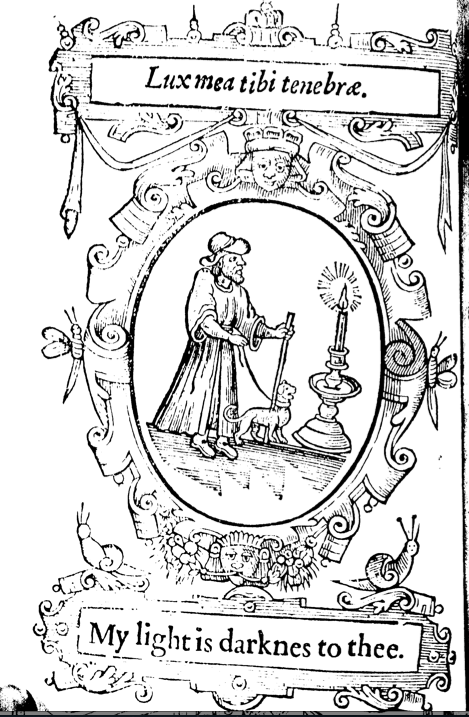 Guy in a hat, simple coat, breeches and boots lights an enormous candle. I Find Things Lost. Woman in plain petticoat and shoes sweeps the floor by another really big candle. My Light is Darkness to Thee. Man is a long coat and big hat. And a candle. Help or Else I Die. 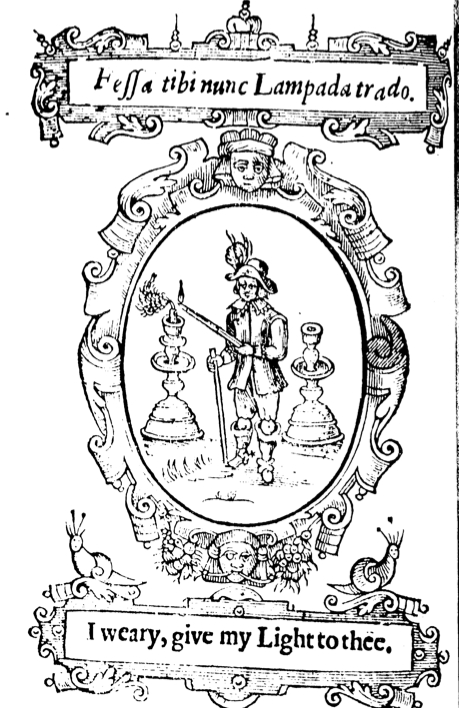 Man in a coat, hat, breeches an shoes and a flambeau. Note the belt around the coat, the leg ties holding his hose up and the rosettes on his shoes. In Vain Thou Coverest me. 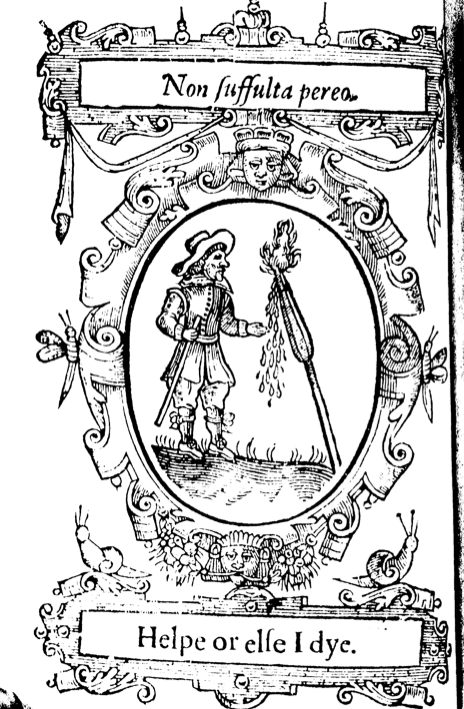 Bloke in a doublet and cloak cuddles a flaming staff. Again nice hose garters and shoe rosettes. So You Are Not Born for Yourselves. Back to the candle motif. 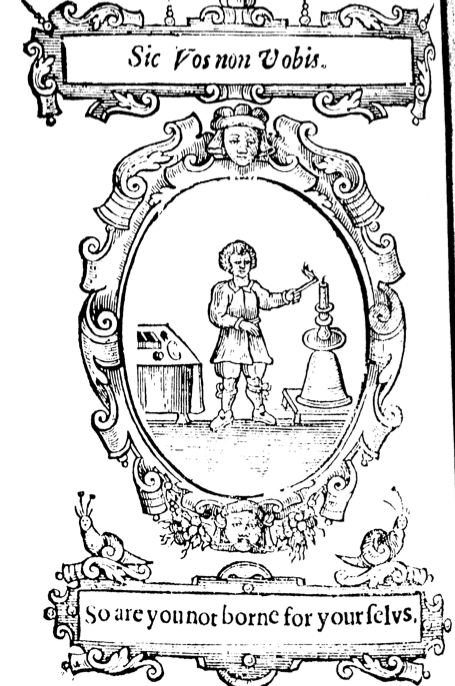 Man in doublet or coat (could be either) lights the candle. ‘Tis Better to Tarry. 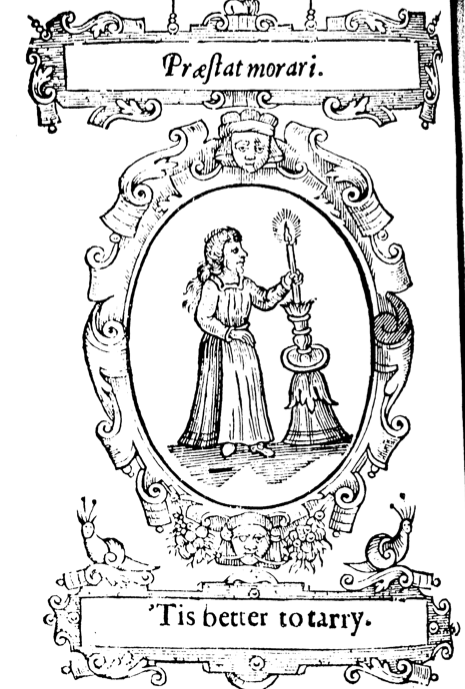 Woman in petticoat and either mad hair or a hairy coif holds the candle in a rather odd fashion. If Thou Abroad, I Am at Home. 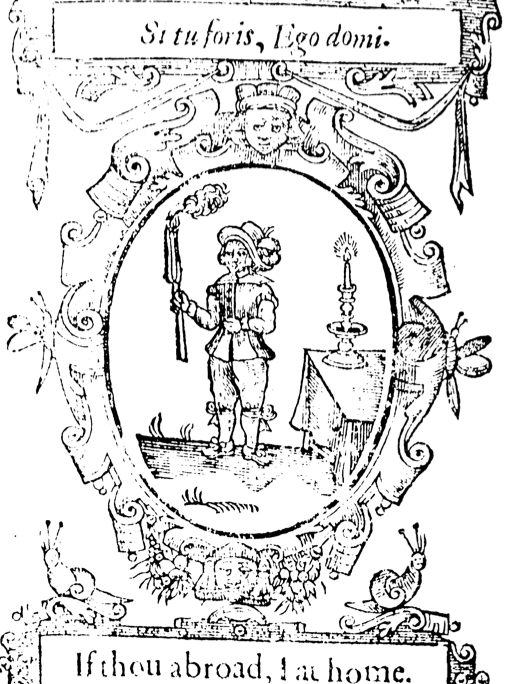 Man in doublet and breeches holds the flare, candle on the table. Double whammy!